Hortto Kaalo was the first Gipsy-music band in Finland. The original members were Feija Åkerlund, Marko Putkonen, Taisto Lundberg and Heikki Nyman. Nyman left the band soon after the first record (1970). 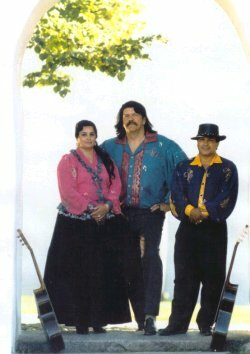 Hortto Kaalo was always very popular during their 12-year career as a professional Gipsy-music band. They performed in many TV-shows, made concert tours in Finland and Sweden and floor-shows to music-clubs etc. Hortto Kaalo received a gold record as the first folk-music band in Finland. Feija Åkerlund and Marko Putkonen are the two permanent band members, Taisto Lundberg have played in the band from time to time. Ellen has been back to band for several years now. Hortto Kaalo has been accompanied by the top-musicians and in concerts the amount of players varies from five to twenty. For several years the regular accompanies have been Tero Ylevä, accordion and Jussi Zenger, bass. In the beginning on the 80´s Hortto Kaalo decided to stop playing as a band. Marko made a career as an opera-singer, Feija and Taisto began to teach music among other things. Several years later Hortto Kaalo decided to start playing again in music-festivals, Gipsy-music concerts, church concerts, clubs etc.